We are motivated and is run for the love of cats. 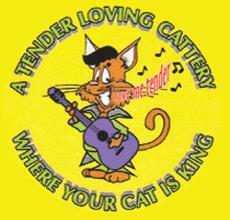 Welcome to A Tender Loving Cattery owned & operated by Erica & Rex Brereton. 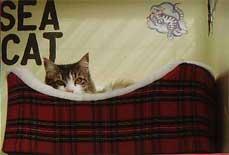 A family operated purpose built “cat only” boarding facility established in 2003, this business was motivated and is run for the love of cats. All guests have private walk-in units including access to their personal outdoor area. All guests are housed separately, excluding families of course, which have adjoining units. Units consist of 3 levels accessed by steps or ladders. 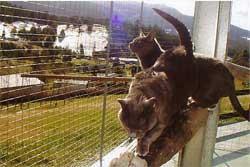 Scratching poles are also provided on the ground floor near the private cat door that leads outside. Families are welcome to bring along something from home for puss if they wish, such as a blanket or toy. We are located in a beautiful rural setting along Pelverata Road, Sandfly. Reachfar road is 1 kilometre along Pelverata road on the left, just prior to this we do have signage on the left also. Pelverata road is accessed by Sandfly road which runs between Margate and the access point to Huonville and/or Kingston. We are 13klm from Kingston, 22 klm from Hobart 9klm from Margate and 16 klm from Huonville. We provide Whiskers canned food, Royal Canin biscuits and kangaroo mince.If your cat has other dietary requirements we ask that you bring it with you.